Many students, teachers, and parents may be aware of the $35 million budget deficit declared last August. This event brings about a vital question: how will schools in the Sacramento City Unified School District (SCUSD) survive in coming years? Due to the teacher shortage that currently exists in California, hiring has become harder, as well as more expensive. This is especially apparent when considering SCUSD’s 25:1 student-teacher ratio. In addition to too-large classrooms sizes, teachers’ low wages have also played a substantial role in the district-teacher dilemma. Many teachers believe their wages and benefits are inadequate, and would like to see a raise in their paychecks that reflects the rising standard of living costs. Teachers at SCUSD had planned to strike in November 2017, in solidarity with the Sacramento City Teachers Association (SCTA) union. At the last minute, a resolution proposed to the SCTA by Sacramento mayor Darrell Steinberg and SCUSD superintendent Jorge Aguilar was supposed to resolve the conflict. However, SCUSD reportedly ignored the resolution contract and used the money on other expenses, disregarding the instructions exacted by the SCTA. The teachers’ union is now reorganizing strikes to protest their broken contract promise. In an attempt to amend the rift between SCUSD teachers and administrators, the SCTA previously negotiated an employment contract that was to be emplaced this fiscal year. If the union and the district cannot agree on conditions for a new contract, the current one will be rolled over into the next fiscal year. As a result of the budget cut, negotiations for a raise and for smaller classroom sizes have been stalled. 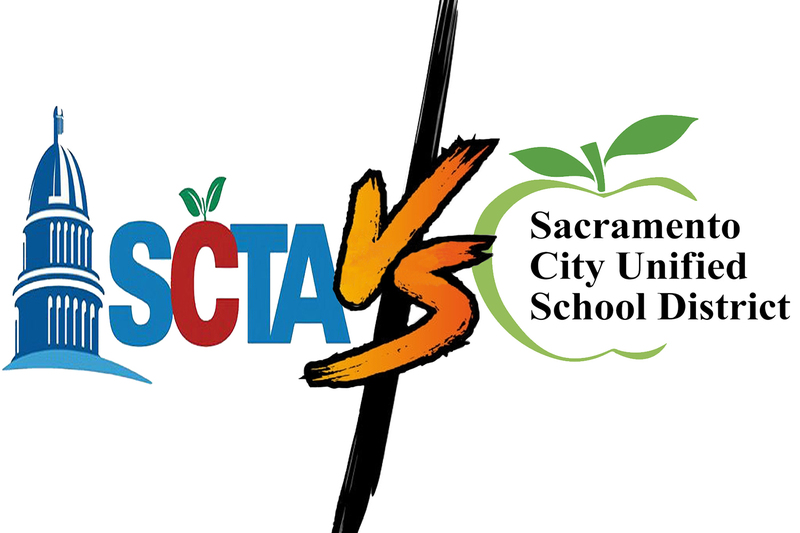 On March 28th, negotiations between SCTA and SCUSD began again. If SCTA does not get the changes they want, teacher strikes will likely occur. According to Alex Barrios, SCUSD Chief Communications Officer: “Running out of cash is only one part of our problem, we have to have a balanced budget for the next two years.” The district requires $35 million for the 2019-2020 year, and another $35 million for the following year of 2020-2021, making a total of $70 million in the following four years. It’s estimated that in the 2019-2020 year, if the budget proposal is declined again SCUSD will have to request emergency loans from the state. The “state takeover” scenario is something that both SCUSD and SCTA would like to prevent. Once the school district budget is passed to the state, SCUSD schools will be managed by state instead of district offices. Although many people may see this as a good thing because the state will be paying the loans, state-controlled schools are usually all bark and no bite, having both low ratings and graduation rates. Many proclaim to make large amounts of progress but fall short of their quotas or make little to no actual progress in improving the school. If teachers decide to strike, the stakes will be high for both school staff and students. Recent events show that SCUSD and SCTA disagree about the state of a consensus, and who is — or is not — holding up their end of the bargain. We hope to see a mutual change in attitudes as well as a sense of open-mindedness that will allow the necessary changes to be made that will benefit everyone involved.